Harrison is 6 weeks old today. He has been to the doctors and everything is fine. 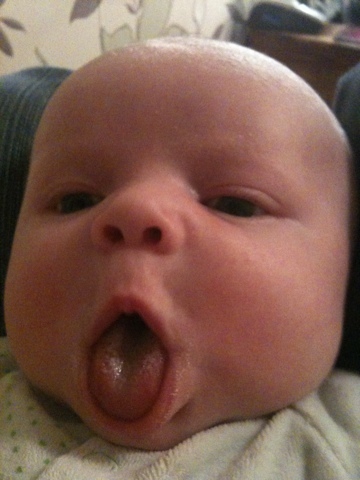 He has also been practicing pulling funny faces. 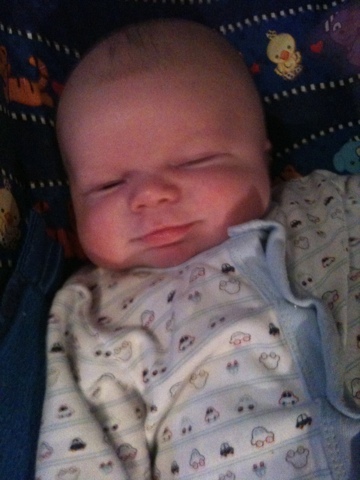 Harrison has started smiling a lot more, they cannot all be down to wind! 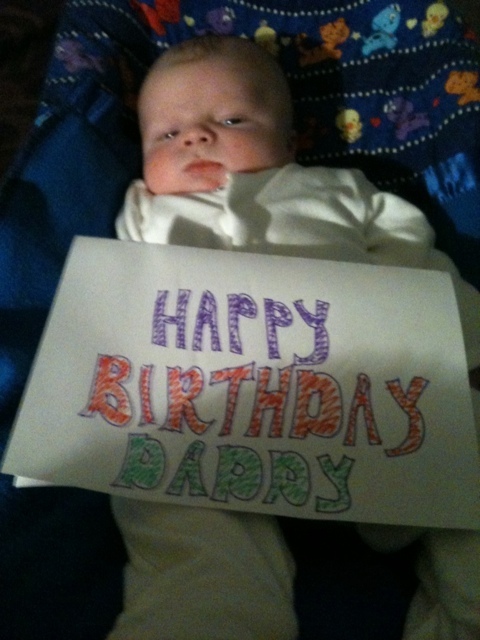 Saturday evening was spent with Roger, Rachel, Ali, James and Martyn enjoying a birthday dinner. Ali and James did the starter, I did the main and Roger and Rachel rounded of the meal with a huge chocolate cake. 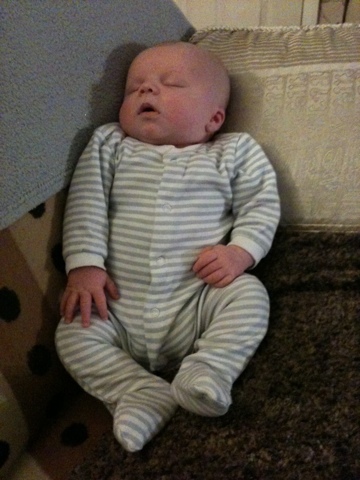 Harrison is wearing his stripey prison issue sleepsuit today. We were treated to lunch at the Griffin today by Bex’s Nan and Grandad, thanks for a lovely meal. Martyn and I then spent the afternoon playing Gran Turismo 5 on the PS3. Top game, highly recommended. 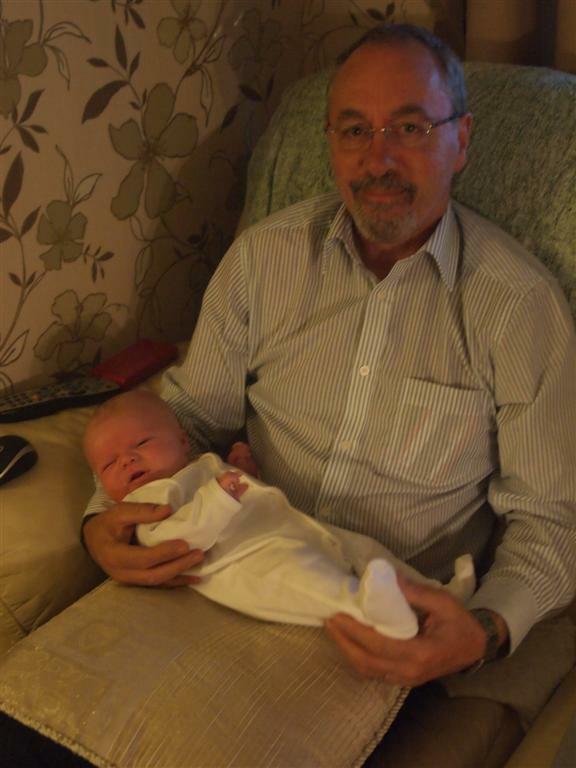 Harrison’s Grandad came back from China yesterday and gave us the perfect opportunity for a photo. 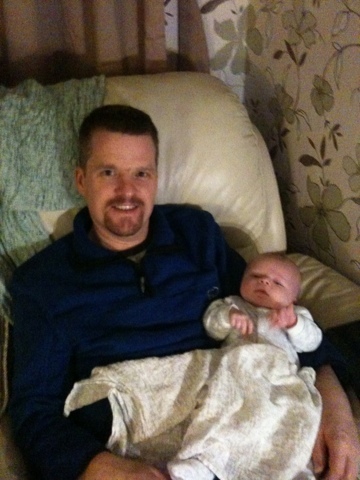 Friday night is here again, let’s see if Harrison allows us to sleep. Our broadband is finally up and running again. I’m back home after 3 days away on a course. It was lovely to see Bex and Harrison. I am 41 years old today. Usually I book a days holiday on my birthday and spend the day with my loved one(s). 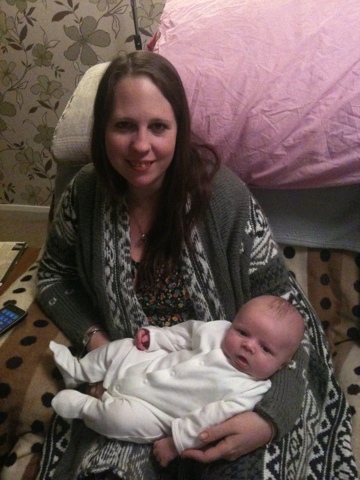 Unfortunately I was booked to go on a course which had to be this week or it would have clashed with Becky’s due date. It’s been weird not seeing any family or friends and not getting any cards or presents. I’m looking forward to getting home to see Bec, Lauren and Harrison and also to the weekend when I’m cooking dinner for fantastic friends. 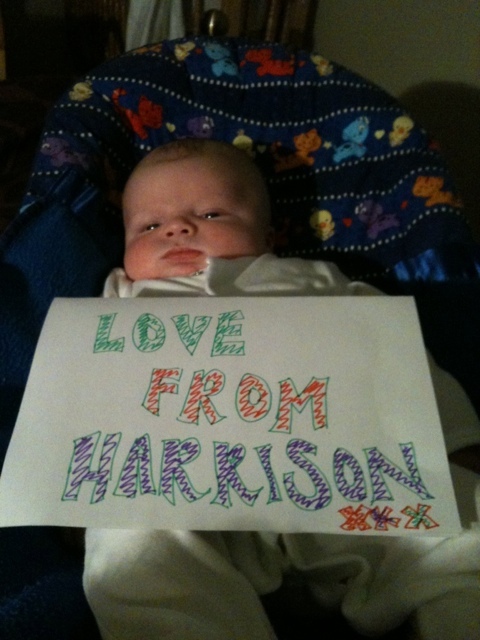 Bec sent me 2 lovely pics of Harrison which I will share with you.